Rugged protection in a lightweight and slim form? Gumdrop Cases knows how to combine these features. Following their numerous cases for iPads and other tablets the Drop Tech Series Sleeve has also been launched in the Microsoft Surface size. The case delivers the same highly protective qualities as its siblings. 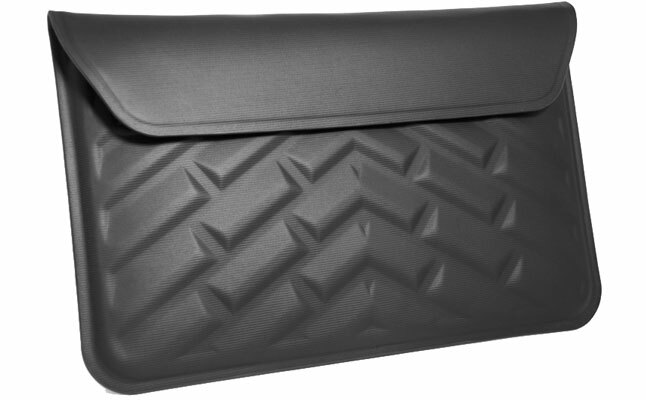 The unique EVA-molded material ensures the Microsoft Surface case absorbs minor impacts and scuffs throughout the day. The molded exterior not only serves as a durable protector, but offers modern looks and is very soft to the touch. The interior of the tablet sleeve is lined with ultra-soft material, which prevents scratches and smudges. The new Gumdrop Cases tablet case comes with a flap lock which secures the case when not in use and keeps the contents inside without any possibility to slip out. The minimalist design of the Gumdrop Drop Tech Series Sleeve allows it to be equally suitable for business and casual tablet owners.